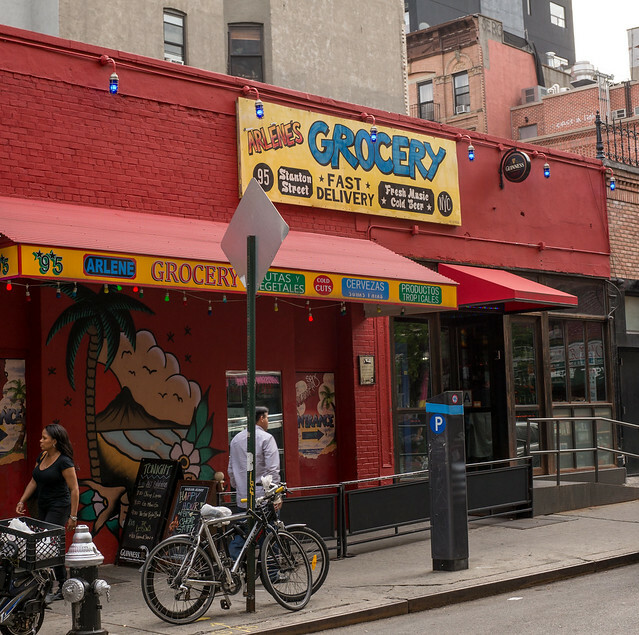 Formerly a bodega, Arlene’s Grocery opened its doors in 1995 as one of the first live music clubs in the Lower East Side. Up-and-coming bands flocked to the then seedy neighborhood for the sonic beauty and intimacy of the powerful sounding 100 capacity room. After expanding into the next-door butcher shop in the late 90’s, Arlene’s offers two fully stocked bars and a gallery space for artists in addition to its large helping of live music. As a handful of live music clubs pop up (and down) in the neighborhood, Arlene’s still holds true to its intention of nurturing emerging talent, providing a great experience for fans, and remaining an institution in the New York City music scene.